"Supporting the wonderful work of this organization!" "Brava to all the Walkers and Movers for Life!" "I wish Martha & the group an enjoyable, successful day! Keep up the great work spreading light, love and the joy of movement... Go, Team!" 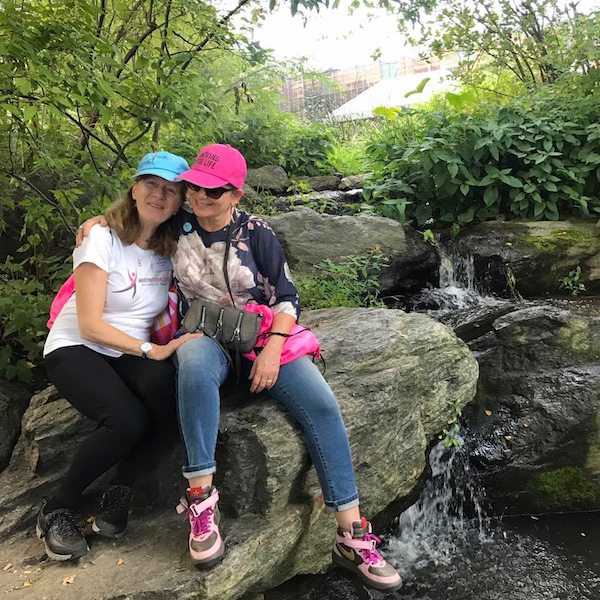 On Saturday, Sept 15th, I will once again be hiking 6 miles from Central Park to Fort Tryon Park to help Moving For Life raise $15,000 at our 2018 Hike-A-Thon. Since 1999, we have brought joy back into countless lives through our gentle dance exercise and wellness programs. Moving For Life's compassionate and scientifically-based approach has been endorsed and/or sponsored by NYC's leading hospitals, oncologists and surgeons, such as NYU Langone, Columbia University Medical Center and the Mount Sinai Hospital system, to name just a few. Proceeds from the fundraiser will allow us to reach seniors and cancer survivors in NYC's underserved communities who are struggling to regain health. For more information, please click here. By the way, if you'd prefer to hike with me instead, I would be thrilled to have your company! There's a morning segment (easier) and afternoon segment (a little more hills and vistas). For details, visit the Moving For Life 2018 Hiker Registration page.